Melodia Community Choir is a group of singers/voice students interested in learning, singing and performing various kinds of choral music. Melodia is open to anyone who would like to experience singing with others. You may be a singer with a little or no experience. You may be six, sixteen, sixty-five, or pushing forties; it does not matter. We would just love you to come along and sing with us. 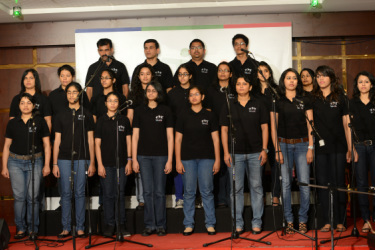 Choir's Mission is to broaden musical understanding and promote cultural harmony through the joy of singing.